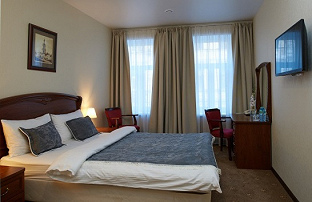 Located in the heart of the capital of Russia, hotel allows guests to enjoy the great theaters and concert premieres, as well as a good time for a leisurely shopping. 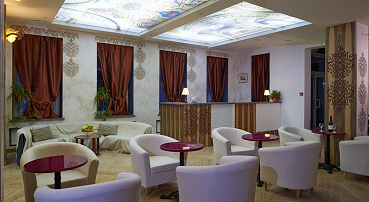 Luxury and atmosphere of Count Orlov’s mansion brings unique style and emphasizes individuality of the Nikolskaya Moscow Hotel. The hotel has 221 rooms, including suites. Elegant design of the spacious rooms will delight guests with its uniqueness. All rooms are equipped with satellite TV, air conditioning, telephone, elegant marble bathrooms, luxurious bathrobes and free Wi-Fi access. The Petr 1 Hotel has 135 rooms, including 6 suites. The hotel is located not far from the Kremlin and Red Square. Godunov Hotel рis located in Moscow, a 5-minute walk from Trubnaya and Kuznetsky Most Metro Stations. Free WiFi access is available. 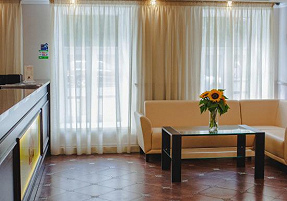 Legenda Tsvetnogo Business Centre is a 5-minute walk away. 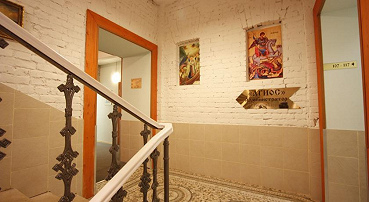 Veliy Hotel Mokhovaya Moscow is 3 minute’s walk from Kremlin and Alexander garden and 10 minute’s walk from Red square, Lenin's Mausoleum and Cathedral of Christ the Savior. 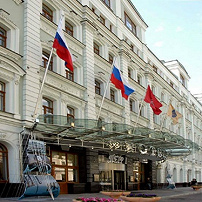 The hotel “Maroseyka 2/15″ is situated at the center of Moscow, at the crossing of Maroseyka street and Lubyanka direction. There are beautiful views from the hotel on the Square, Old Town Square, The Monument to the Heroes of Plevna, Maroseyka, Ilinka streets and the Kremlin’s Spasskaya Tower. 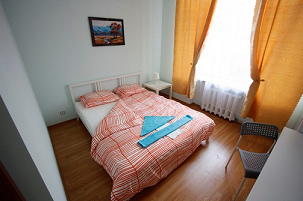 Agios hotel on Kurskaya is situated at the central part of the city near the Garden ring. Boulevard ring is situated 5-7 minutes walking distance from the hotel. It takes 10 minutes to reach the hotel from the closest metro station Kurskaya on foot. 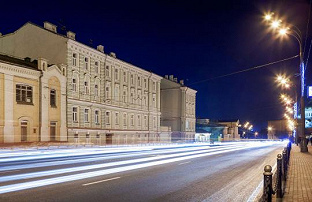 The Brick Gesign Hotel is located in the heart of Moscow nearby 5 metro stations on Myasnitskaya street, on of the most beautiful streets in Moscow. 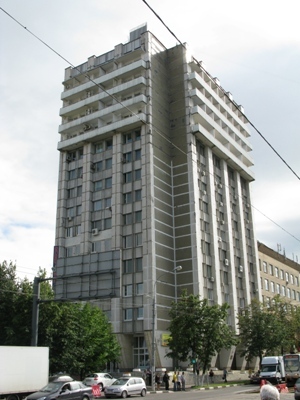 Izmailovo Gamma-Delta Hotel — is the largest of the buildings of the former hotel "Izmailovo". The hotel has been specially designed for the reception of foreign guests and participants of the 22 Olympic Games in 1980. Its location was carefully thought out. 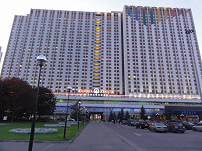 The Izmailovo Beta Hotel is located in one of the most scenic places in Moscow not far from the city center. Izmailovsky Park is situated nearby. 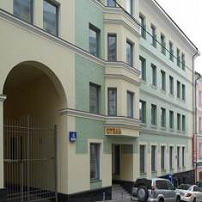 The HSE Professors’ Guesthouse is located at 7 Vavilova. It is just a 5-minute walk from the metro station “Leninskiy prospect” and in one building with the Faculty of Mathematics. To book a room in the HSE Professors’ Guesthouse contact Ekaterina Chernyak (echernyak@hse.ru).